Has this been a long week or what? I'm just glad that the weekend is here. 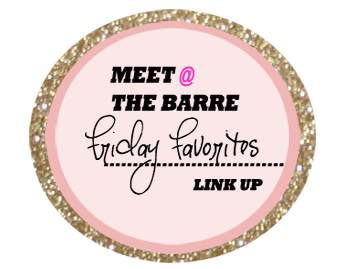 Let's get right into it, here are my favorites this week. I'm so excited for Pitch Perfect 2!! I loved the first one and cannot wait to see the second one. Just hope it's as good as the first one. This is the new song from the movie and I just love it. Jessie J has such a great voice. I'm sure I'm not alone when I say that the my pores go crazy this time of year. A friend recommended this mask and I'm so glad she did. This mask really works to get all that dirt and oil out of your pores. My skin looked clearer and brighter as soon as I washed it off. Word of warning, it is drying so I only use it twice a week. Have you checked out Reese Witherspoon's new shopping website?? I love everything, she has fantastic taste and great style. My only issue is some of the items are really pricey. but also found to be pricey. I hope they have good sales. excited for this movie which comes out this weekend. I LOVED the first one. I just hope this one is as good as the first one. Let's me honest, the second movie never is but I still hope. I have been told (more than once) that I talk to much. I'm making a great effort to limit it. 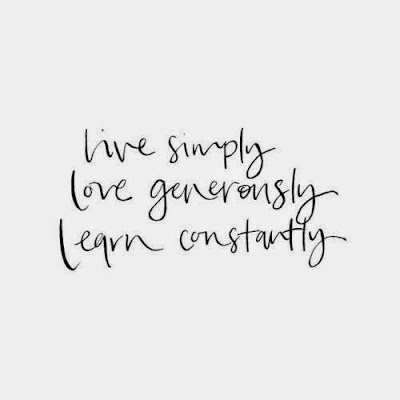 I'm also trying to live a little more simple. 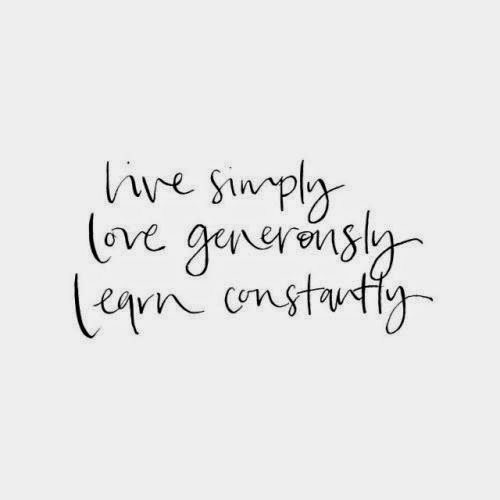 Not be a so attached to material things nor constantly looking at my phone. As a result, I thought this was a perfect quote. Love that quote something fierce. Hopefully Pitch Perfect 2 is as good as the first one! Have a great weekend! Thanks for the rec on that mask, my pores could really use some help right about now! i loved pitch perfect as well, can't wait to see #2. my mum saw it last week (i think it came out earlier there) and said it was good, and she doesn't like movies like that so that means (hopefully) it's awesome lol. have a good weekend! I've heard so much about Glam Glow... I'll have to try it out! 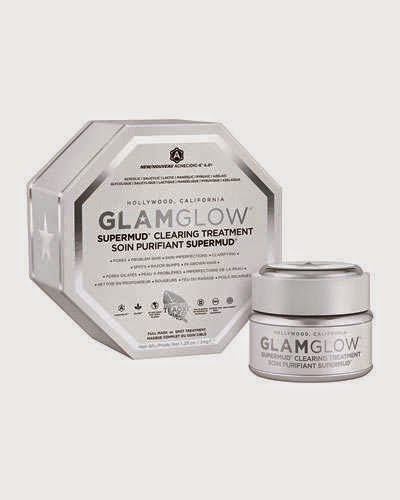 Never heard of Glam glow but it sounds awesome. The price is a bit steep but anything for healthy skin! Happy weekend! I've always been a fan of Reese Witherspoon's style, but her prices are a bit ridiculous. $200 for a cover up? No, thank you. I can't wait to see Pitch Perfect 2 this weekend too!! Happy Friday! I will have to look in to that mask, my pores go crazy too!!! Like why?????? Hope you have a great weekend! I keep seeing commercials for Pitch Perfect 2, and I haven't even seen the first one yet! I've got to get on that! Have a wonderful weekend! I am SO wanting to check out Reese's new website!! i am very chatty but only if you know me well. i'm silent the rest of the time! Oh that Glam Glow sounds like it would be perfect for my T zone! Ok, how did I not know about that Reese site? Thanks for the heads up!